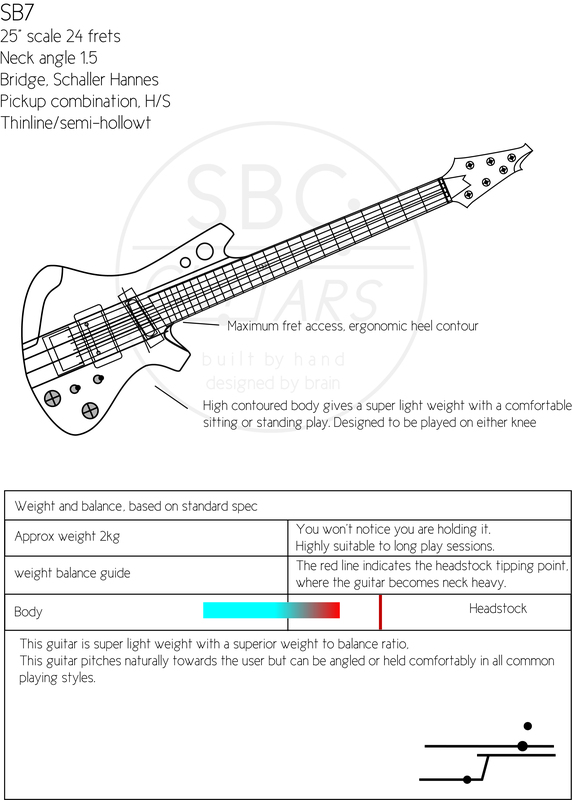 We developed our Ergonomic SB7 to build on the design success of our SB3, the key principals being to add to the natural sustain of the through body neck and thin profile comfort, with better balance when played in a standing position. To achieve this we slimmed the body, added extra contours, slimmed the body and pushed the top horn along the neck joint. This boosts the balance and sustain, with the added benefit of a comfortable sitting play, placed on either leg, to encourage good posture, and better still, good playing! This guitar is available, as all our guitars, in masses of customisation options, such as extended range, multi-scale, thin-line/semi-hollow (this is a lovely addition for added tonal warmth and str ing vibration), left or right handed. 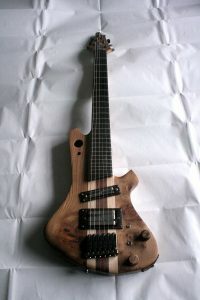 This guitar comes with Schaller Hannes bridge (right handed only available at the moment) to build on the sustain offered by the through neck, and the extra deep neck pocket. 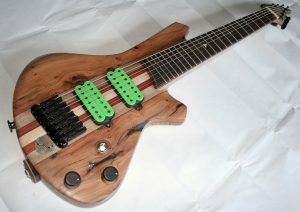 We also offer a bigger body version, which is ideal extended range (including multi-scale) and 7 string guitars in our SB7.5 model. 30mm Catalpa body wings, hollow-body option, with matched cap. 500k CTS pots, coil-split switching and tone isolator/boost. 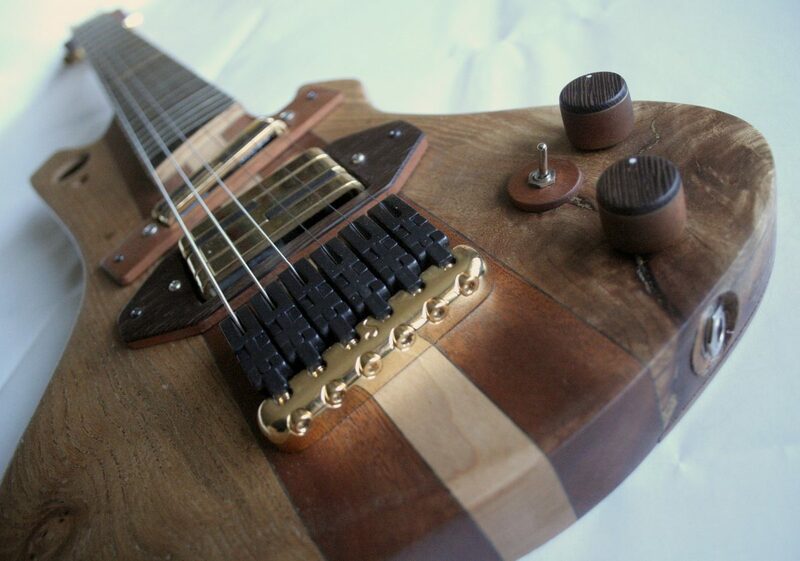 Semi hollow/thinline body with matched top and veneer joint inlay. 250k and 500k (switchable) CTS pots, coil-split switching and tone isolator/boost.